Mastering the art and science of homebrewing takes a lot of skill. You’ve got a lot of irons in the fire, from tweaking your yeast starter to tackling DIY projects like building your own mash tun. And one of the most important aspects to manage when you homebrew is attenuation. The question of dry yeast vs. liquid yeast can consume you as you struggle to find the perfect blend for your brew. Learning which yeast is best, and when, is the beginning of beers that have the right gravity, flavor, and finish. The battle over whether dry yeast or liquid yeast is best for attenuation may never shake the foundations of the brewing world. But knowing the differences between the two types of yeast can help you decide which one’s right for your beer and attenuation goals. In days of yore (whenever yore was; probably sometime before yesteryear), dry yeast had something of a bad reputation. The manufacturing process often produced impure or inefficient strains, sometimes contaminated with bacteria. Dry yeast was regarded as, well, kinda crummy compared to its liquid counterpart. Science and improved packaging have changed all that, and modern dry yeast If you click this link and make a purchase, we earn a commission at no additional cost to you. produces outstanding beers. Dry yeast is pure, sterile, and packed with nutrients. It can be pitched directly into the wort without the need for a yeast starter. It’s got a relatively long shelf life and tolerates temperature fluctuations during shipping and storage. It’s also generally less expensive than liquid yeast. Better still, dry yeast contains more cells per package than liquid yeast, so a single package of dry yeast not only costs less than liquid yeast, but provides more conversion power. Pitching large volumes of beer, or crafting high-gravity brews that rely on precise attenuation, is more affordable when you use dry yeast. Capturing an entire culture in a bottle might sound like the fever dream of a mad scientist, but liquid yeast If you click this link and make a purchase, we earn a commission at no additional cost to you. is exactly that. 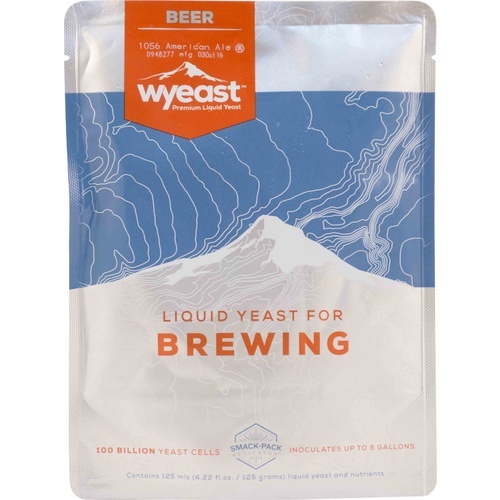 With fewer cells per package and a higher price tag, liquid yeast requires a little more TLC than its dehydrated cousin. It makes up for the bother, however, with increased variety. Depending on the recipe you’re brewing, you’ll either need to use more packages when using liquid yeast or grow yourself a yeast starter. Using a starter can help you keep costs down and increase your available cells without having to buy additional packages. 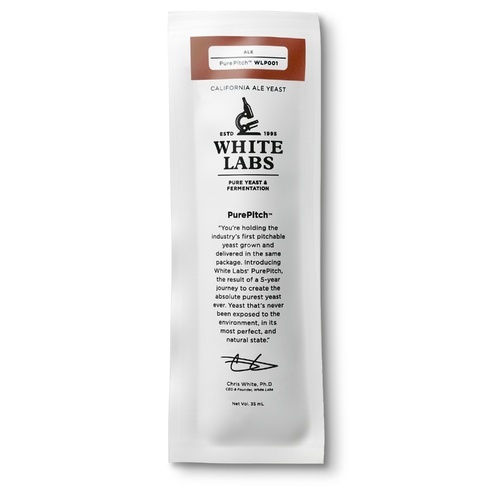 Yeast washing can help extend the lifespan of your strains as well. Liquid yeast also has a shorter shelf life than dry yeast—most strains live just three months, max. And because the yeast in the bottle is movin’ and groovin’ instead of waiting to be activated, it’s much more sensitive to environmental and temperature changes. Variety is the spice of life and beer. Many strains of yeast are too delicate to survive the drying process, and can only be found in liquid form. So if you want to try something exotic or your signature brew requires a special strain that can only survive in the tears of a lonely unicorn, liquid is the way to go. When you’re talking homebrewing, attenuation refers to a drop in the specific gravity, or density relative to water, of your wort. It’s the yardstick by which you judge the success of your yeast. A more attenuated beer will be stronger and have a dry finish, since the yeast in the wort has converted more of sugars into alcohol. Conversely, a less attenuated beer will be sweeter and less alcoholic. As a yardstick of homebrewing success, attenuation is best expressed as a percentage indicating how many of the convertible sugars in your original wort have been converted into alcohol and CO2 by yeast during fermentation. Most yeast strains attenuate somewhere between 65% and 85%. So if, for example, your beer has an attenuation of 75%, that means ¾ of the sugars have been devoured and converted by yeast. Not all sugars are fermentable, and yeast are never quite 100% efficient, so the remaining 25% of the original sugar in your wort is there to stay. This is great if your beer has a target attenuation of 75%, but not so great if you’re aiming for a drier, stronger brew with an attenuation of, say, 85%. Playing things fast and loose might work when you’re slapping together an impromptu stew, but homebrewing demands precision. Proper attenuation is important whether you’re brewing a classic lager or heading out to sea with a kelpy ale. 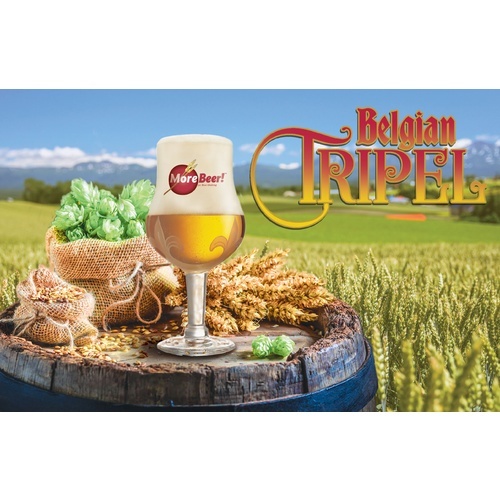 Attenuation is especially important for high-gravity beers, like Belgian tripels If you click this link and make a purchase, we earn a commission at no additional cost to you. and strong ales, as well as crisp, refreshing brews such as summer ales If you click this link and make a purchase, we earn a commission at no additional cost to you. . Without proper attenuation, the former will be sickly sweet, and the latter will lack their characteristic dryness. Naturally, not every brew can be perfect. We’ve all had a batch or two where we’ve done everything right and still ended up with a head-scratcher in the mug or bottle. But careful calculation of attenuation can help keep underwhelming brews and other mistakes to a minimum. Before you consider the issue of dry yeast vs. liquid yeast, you’ve got two types of brewing attenuation to weigh: apparent attenuation, and real attenuation. Despite their names, neither one is imaginary. 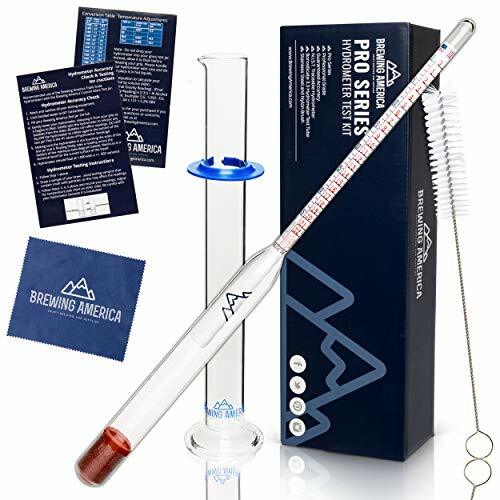 This type relies on the final gravity—the specific gravity of your brew as compared to the original gravity of your wort—as measured by a hydrometer If you click this link and make a purchase, we earn a commission at no additional cost to you. . Handy as they are, hydrometers don’t provide absolutely accurate readings of your beer’s final gravity. They’re calibrated to measure the water-based solutions. The alcohol in beer is less dense than water, fudging the readings a bit. Fudging aside, apparent attenuation is a fast, useful, and easy way to approximate the conversion of sugars to alcohol. When you hear someone say “attenuation” or read it on, for example, a data sheet for yeast, they’re almost always referring to apparent attenuation. More accurate than apparent, real attenuation de-fudges the math. It compensates for the difference in density between water and alcohol to give you a precise value for the sugars actually converted to alcohol and CO2 by your yeast. It does so using the real extract of your wort. If you’ data-lasso-id=”6542″>online calculator and skip to the next section. If you’re a numbers nerd, you can calculate yeast attenuation yourself. The apparent attenuation of your beer is 75%. Continuing with the same beer as in the apparent attenuation example, you can calculate the real extract. Converted to degrees Plato, the original gravity is 12°P, and the final gravity is 3°P. The real attenuation of your beer is 61%. Whew! You’ll need a good brew after that mental workout. And maybe a nap. Knowing your targets for attenuation is essential, but what can you do if your beers are consistently missing those targets? Several factors can contribute to suboptimal conversion in your brew, but two of the most common culprits are wort fermentability and yeast performance. The first affects what your yeast have to work with, while the second is about how you’re treating the critters you’ve recruited to make your beer. 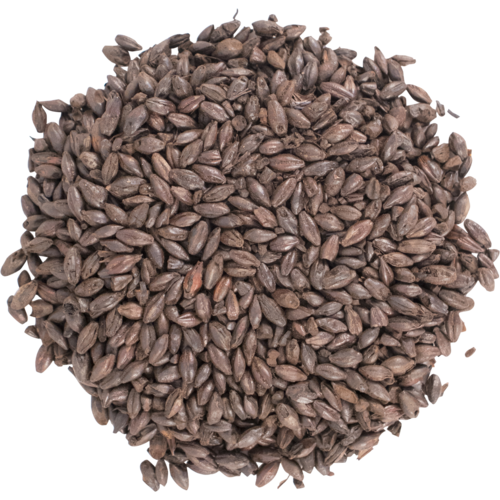 Whether you’re visiting a maltser, crushing malts at home, or extract brewing, the wrong malts can deep-six your brew. Not having enough fermentable sugar in the wort is one potential cause of diminished attenuation. After all, without sugar, even the most efficient yeast will go hungry. The amount of sugar available to the yeast depends on a few key aspects. The amount of malt, the number of digestible sugars present in the malt, and mashing technique all affect how much fuel your yeast will have during fermentation. A decoction mash, for example, may allow you to pull more fermentables into your wort. Conversely, using undermodified malts without compensating for their reduced number of fermentables could starve your yeast, or at least reduce the amount of food available. The roast level of the malts used can also influence fermentability. Darker malts If you click this link and make a purchase, we earn a commission at no additional cost to you. have fewer available sugars for fermentation. Their recipes generally call for more grain than light beers as a result. Microbes have been making our beer for going on 5,000 years now. That’s a pretty sweet deal, but like all living things, yeast can’t perform at their best in substandard conditions. Too few yeast in your wort can keep your beer from reaching its target final gravity. If your yeast don’t have enough food or oxygen, they won’t be healthy enough to ferment your beer properly. Temperature fluctuations can stall or even kill yeast. Choosing the right yeast for your recipe is important, too. Humanity has spent a lot of time and effort developing various strains of yeast to produce specific styles, flavors, and colors of beer. Don’t send a lager yeast If you click this link and make a purchase, we earn a commission at no additional cost to you. to do an ale yeast’s If you click this link and make a purchase, we earn a commission at no additional cost to you. job, and vice-versa. Yeast are doing the heavy lifting during your fermentation. Making sure you’ve chosen the right strain, and making every little critter in the packet or bottle happy, is essential to reaching your target attenuation and creating beer you want to brew. The Verdict: Which Yeast is Better? As you’ve no doubt realized, neither liquid yeast nor dry yeast is objectively better for attenuation. 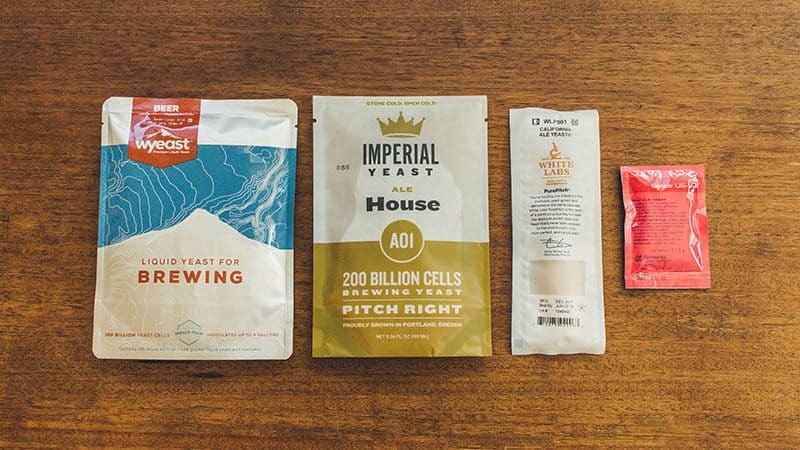 Just like the debate over dry hopping or the best homebrewing equipment, the right yeast for your attenuation goals is the one that works best in your homebrewing setup. Attenuation is about adding the proper amount of yeast, at the proper temperature, with adequate nutrients and aeration for the yeast to thrive. Strain availability and personal preference are important, too. But if you set the stage for effective attenuation by using the right strain and giving it the room, nutrients, and time it needs to work, you’ll find your beer finishes with the attenuation, flavor, and finish you’re after.